Now with revised looks especially on the exterior, the 2018 Honda Jazz was officially unveiled in Japan earlier June this year, with a spotting new artistic grille, tweaked headlamps, a redesigned front bumper with updated details around the fog lights; all these earning the car a more sporty look. The new model, also called fit’ however still preserves the looks of its predecessor. The 2018 Honda jazz still maintains its seating capacity of five, and with four doors. Being a hatchback, the cargo volume is not much. It can accommodate 16.6 ft3 of cargo with rear seats up and 52.7 ft3 of cargo with rear seats down. 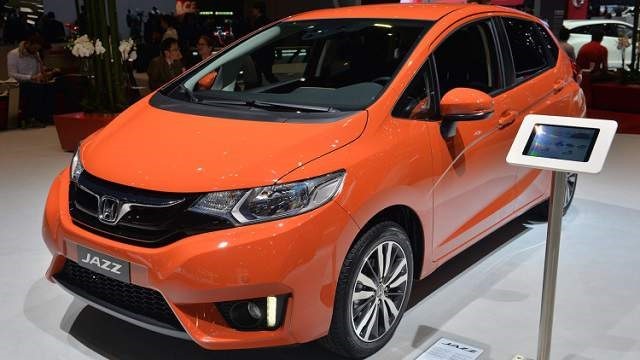 More into details, the new Honda Jazz debuted with fresh looks as aforementioned; the headlamp cluster is packed with LED DRLs and LED daytime running lights. Besides, the headlamp layout and shape have also been tweaked for a capturing look. Another striking feature at the car front is the grille. It follows the athletic design and carves of the new Civic and offers a better flow of air into the engine. The rear headlights have also been artistically crafted and well laid-out to maintain the car’s sporty design. All that along with the slimmer rear bumper give the hatchback new, refreshing details. The car comes with 16*6 in aluminium wheels with striking, sporty rims. The spare wheel rim is however made of steel. The 2018 Honda Jazz interior has not been altered much and still maintains the overall looks, dashboard layout and interior padding. However upholstery options for the interior are available to the Japanese market only. The 2018 Jazz features 1.5-liter inline-four engine, which offers 130 hp when fitted with a standard six-speed manual transmission. The power output however drops a little to 128 hp when the engine is coupled with an automatic transmission. These engine specifications and capacity give the 2018 Honda Jazz a maximum speed of 118 mph and an acceleration time of 8.5 seconds from 0 to 60 mph. A hybrid version of the car is also available to the Japanese market.Fuel economy for the Honda Jazz is estimated at 36 mpg city, 31 mpg highway and a combined epa estimate of 33. The new Honda Jazz comes with various safety features included in the Honda Sensing suite, as referred to by Honda. It are availed optionally across the trims. These include automated emergency braking, Collision Mitigation Braking System, Pedestrian Collision Mitigation Steering System, adaptive cruise control, lane-keeping assist and traffic sign recognition; all packed in the driver-assist technologies. The 2018 Honda Jazz comes with a 7.0 inch touch screen infotainment system hosted on the dashboard, and running on Android Auto and Apple CarPlay platforms. The infotainment system is available on all trims except the base LX. Other infotainment features include Speed-Sensitive Volume Control (SVC), SMS text message function and USB ports for smartphone connection. The unveiling of the 2018 Jazz took place earlier June this year in Japan, and other debut functions are to be held in India in the latter half of this year. Starting price for the Honda Jazz 2018 is estimated to be at $19,835. The price is expected to vary with the different trims of the Honda Jazz.